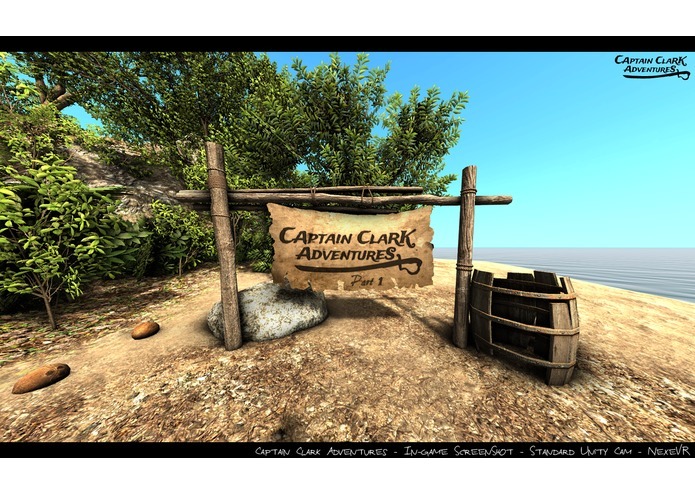 Captain Clark Adventures is a “look-and-tap” virtual reality adventure game (VR first-person “point-and-click” game like Broken Sword or Monkey Island) where you play through the main character’s eyes in VR. 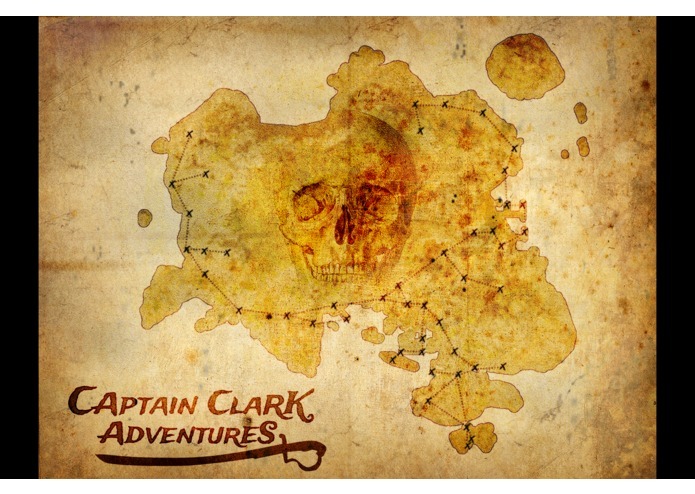 In this first episode, you embody Captain Clark, a ship captain in the 1800s, who has been attacked at sea by pirates. 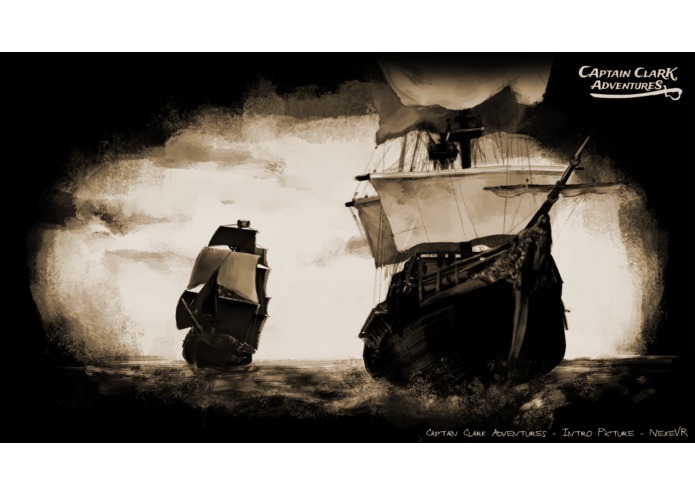 The ship’s crew has been decimated. 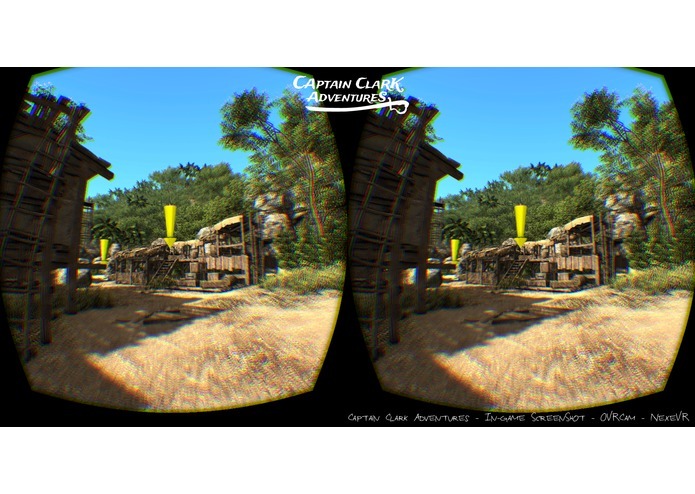 Only the captain has been spared and has been taken prisoner on the pirates’ island. 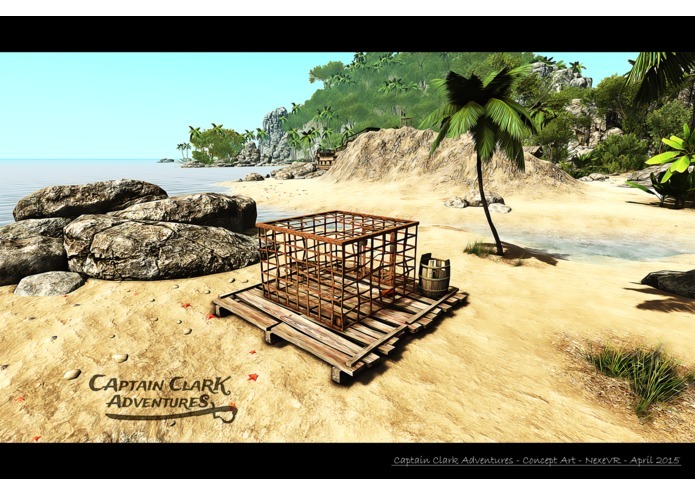 The pirates have gone back out to sea and the captain is now alone in a cage on the beach awaiting the pirates’ return. 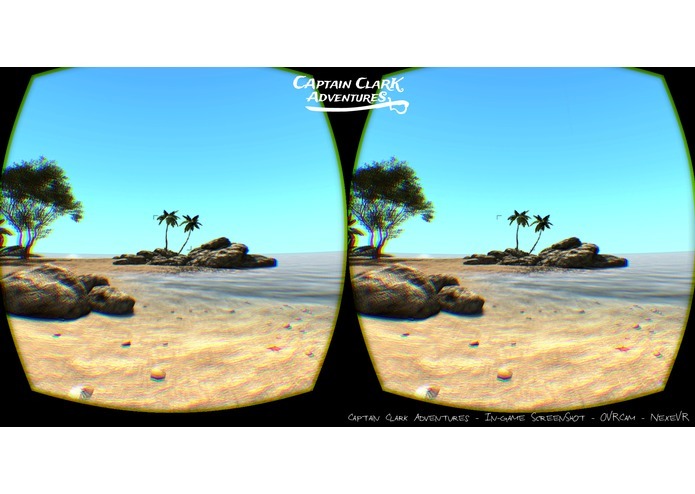 To survive, he will need to try to escape the island. 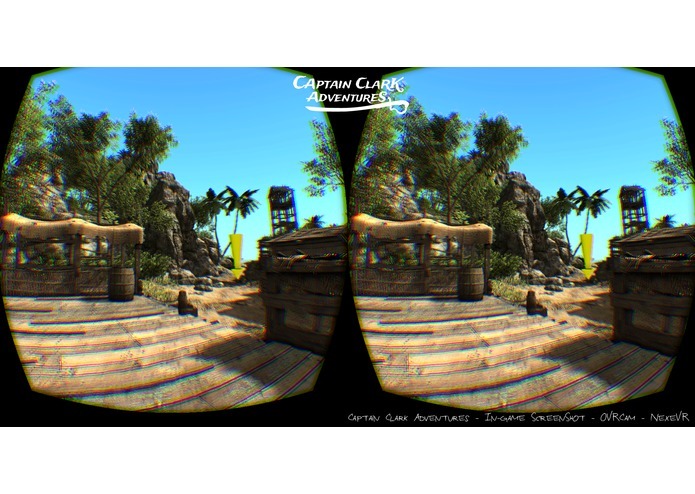 The adventure takes place on the pirates’ island in the form of an open world. 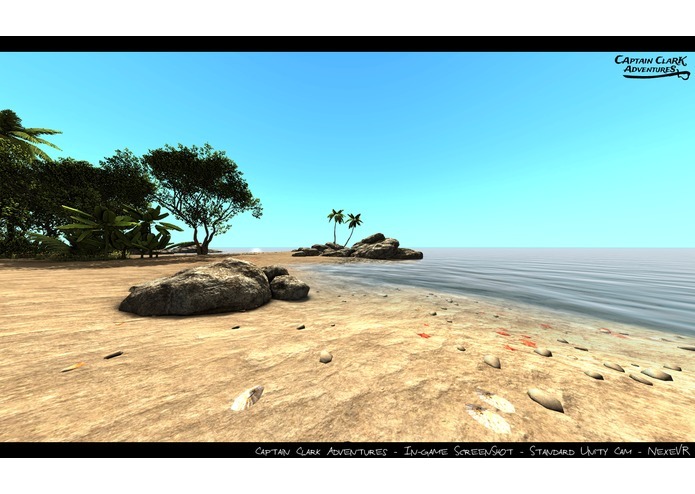 You can explore this tropical island by visiting about fifty places where you will have to scout out the terrain, collect and combine objects, and make progress in order to escape. 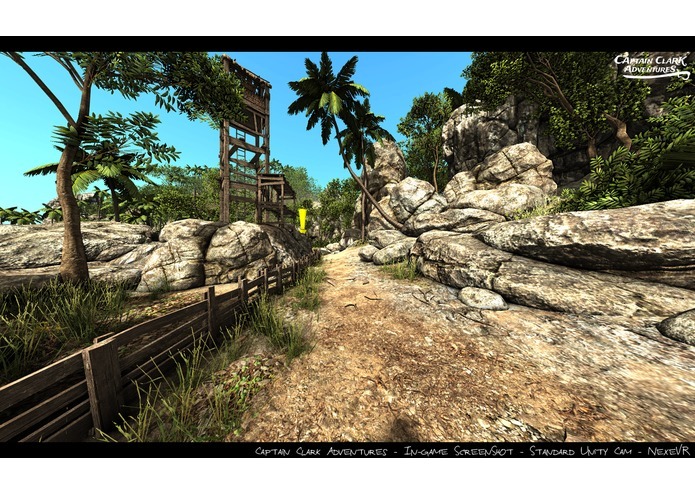 The game uses a teleportation system to let the user move from place to place around the island. 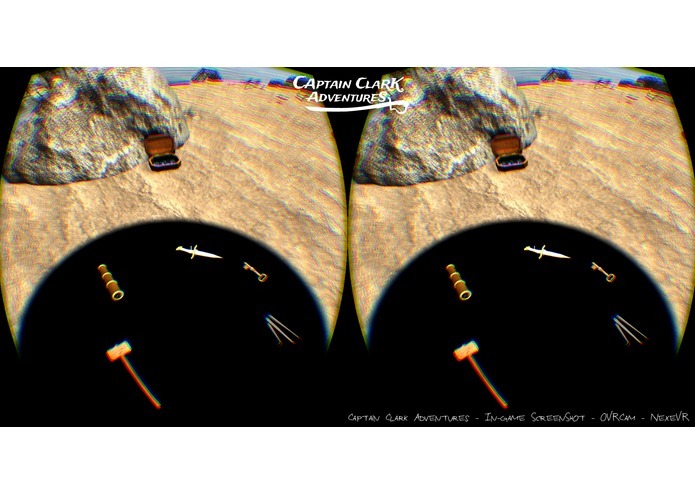 The game features an auto-save system that seamlessly saves your progress in the adventure. 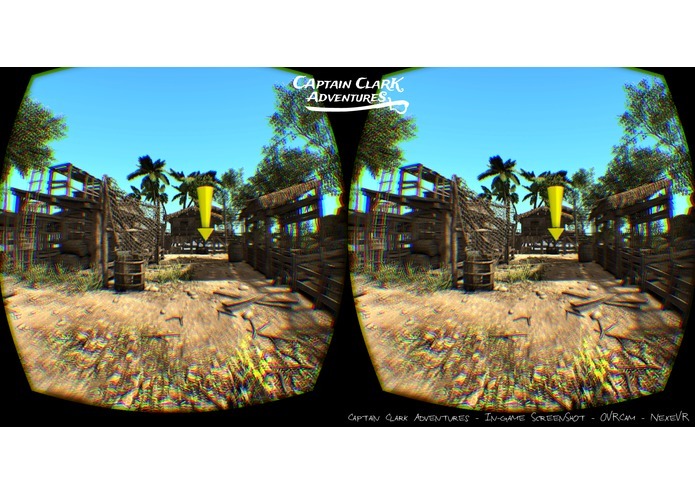 The user interface is reduced to a minimum to provide the most immersive experience possible. 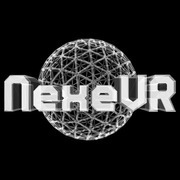 The game doesn’t require a gamepad to play. 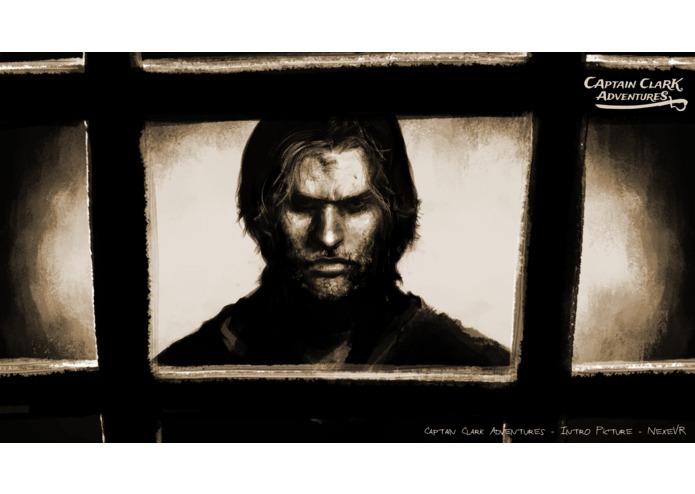 A gamepad can be used in place of the touchpad (Button 1 instead of tapping). 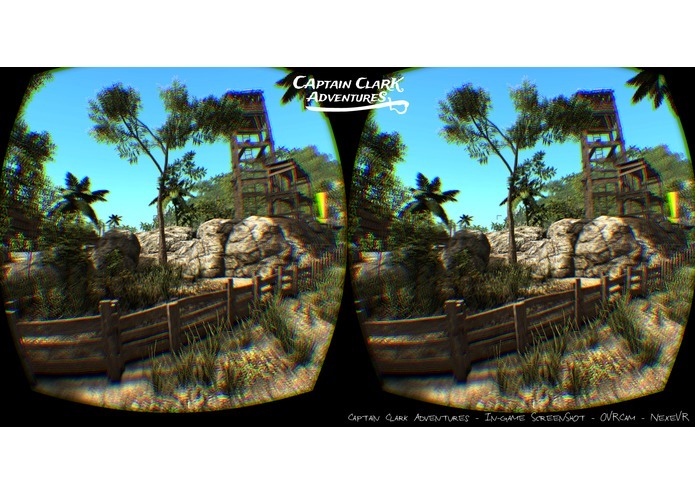 The game is best experienced in a swivel chair (360° experience). 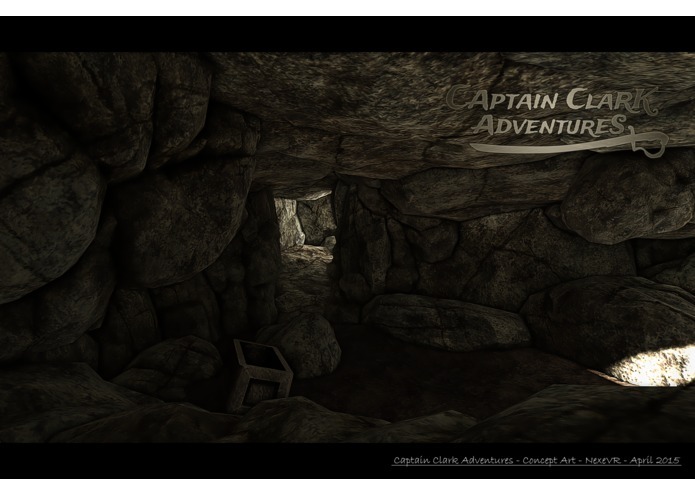 It takes around 1 hour to complete the adventure (average time from playtest sessions). 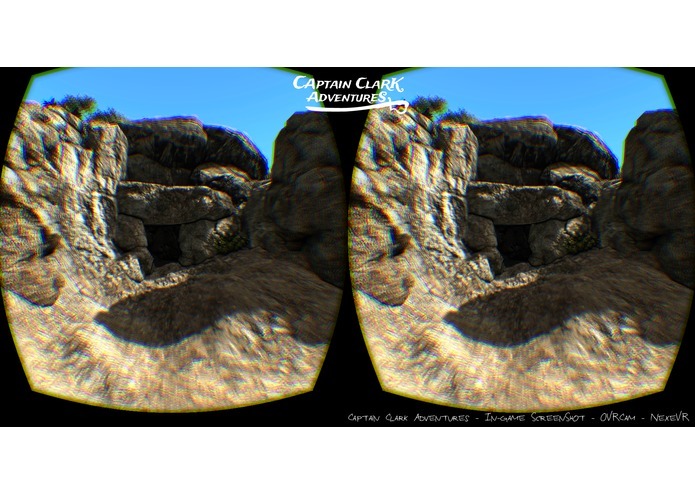 The game uses the Mandala engine, which is a “look-and-tap VR adventure” innovative game engine for the Gear VR developed especially for this event and which works on top of Unity3D. 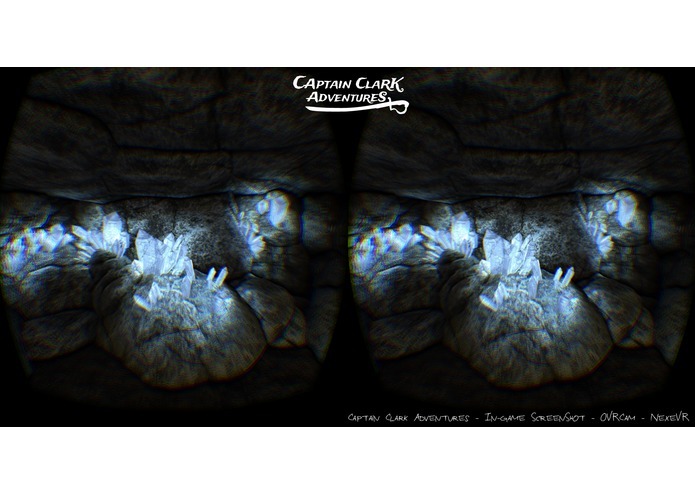 Mandala brings stunning visuals and complex scenes to Gear VR, creating a deeply immersive virtual reality universe. 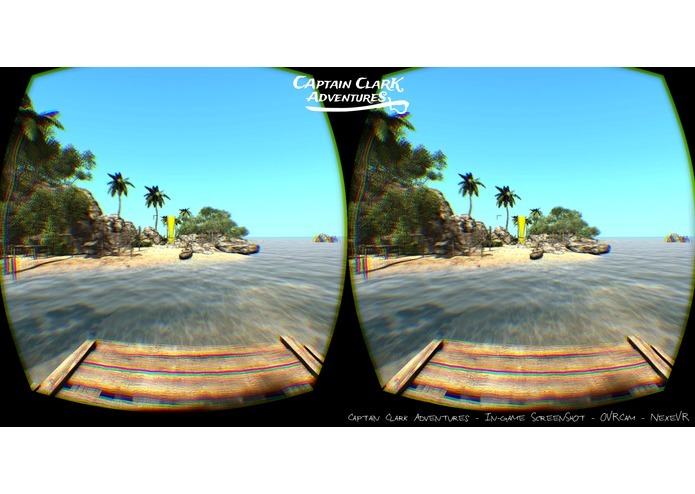 Thanks to Mandala, Captain Clark Adventures can display advanced graphics while running at a steady 60fps for hours on end without overheating the phone or draining the battery too quickly, meaning players can play for longer. 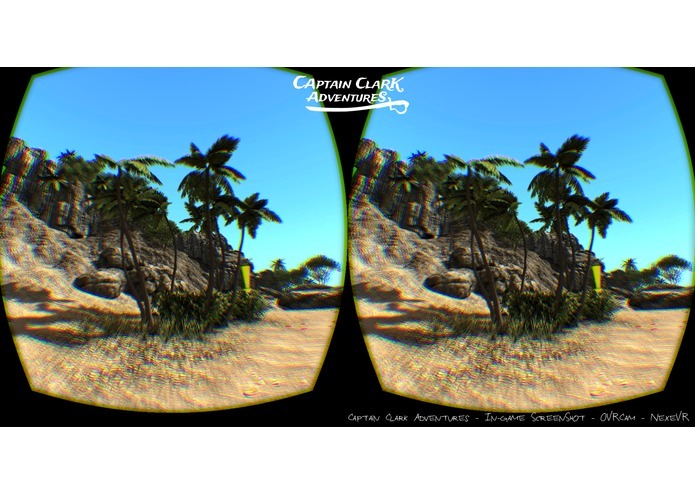 Mandala also ensures a very high comfort level for users by avoiding any situations that may cause motion sickness, thus providing players with a truly pleasant and refined experience even if they’ve never used VR before. 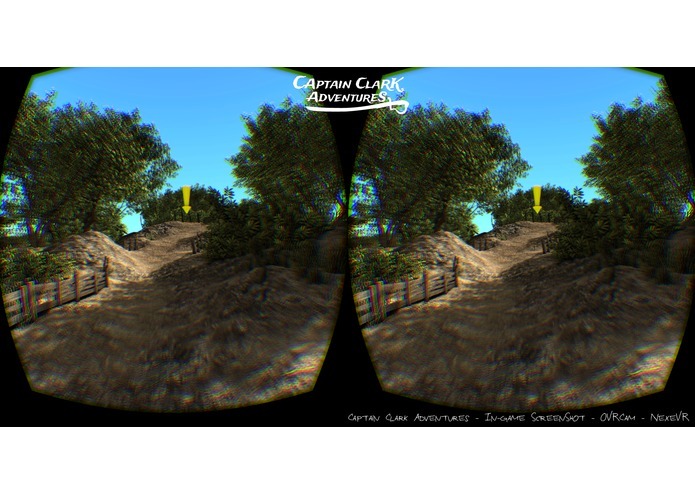 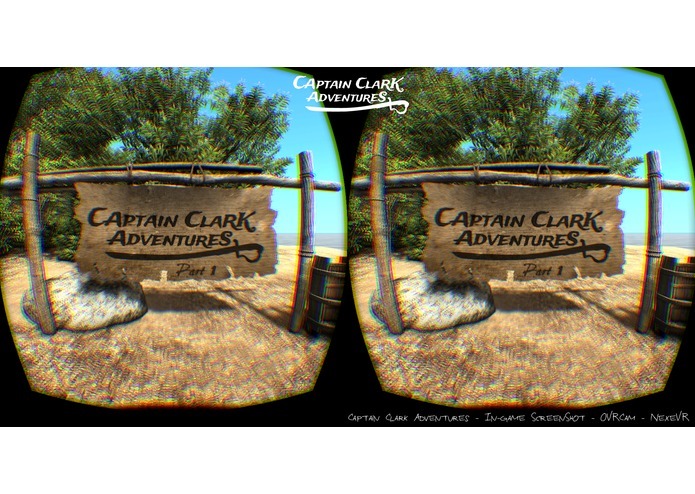 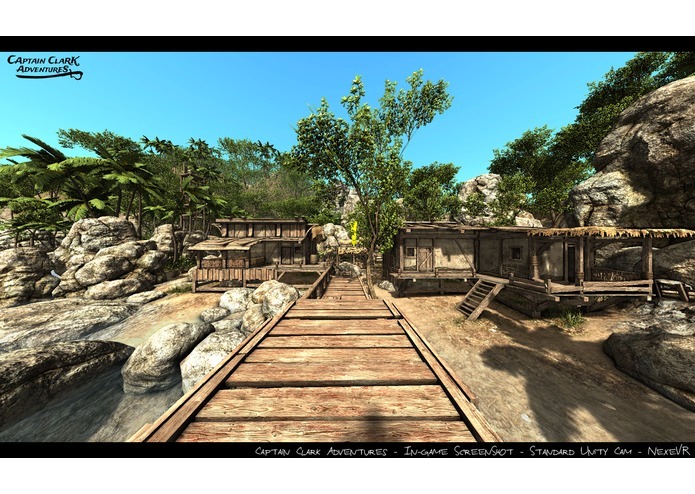 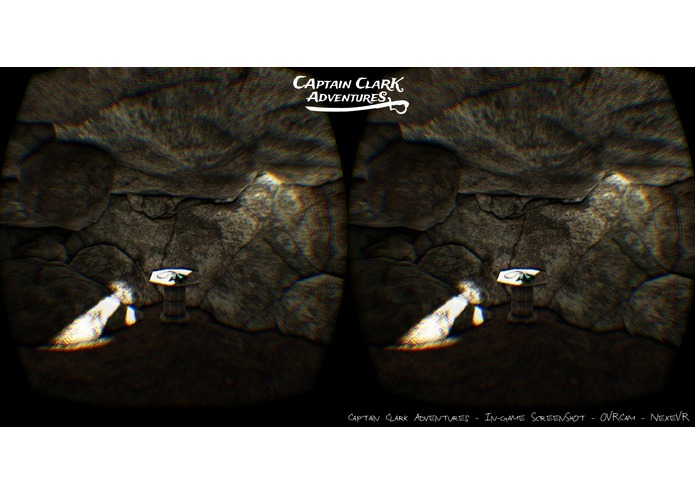 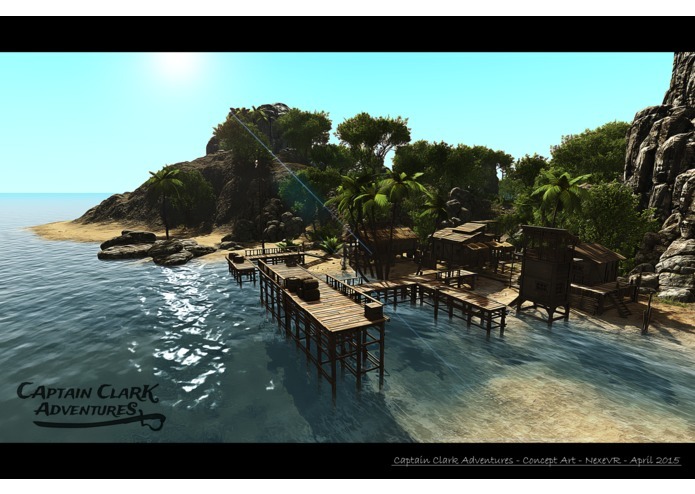 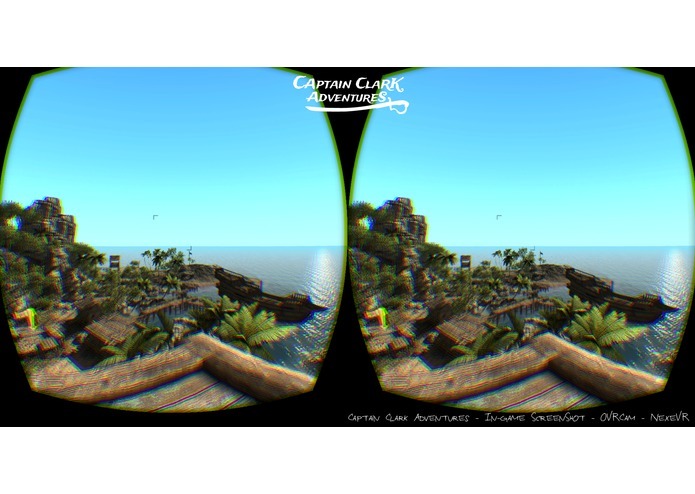 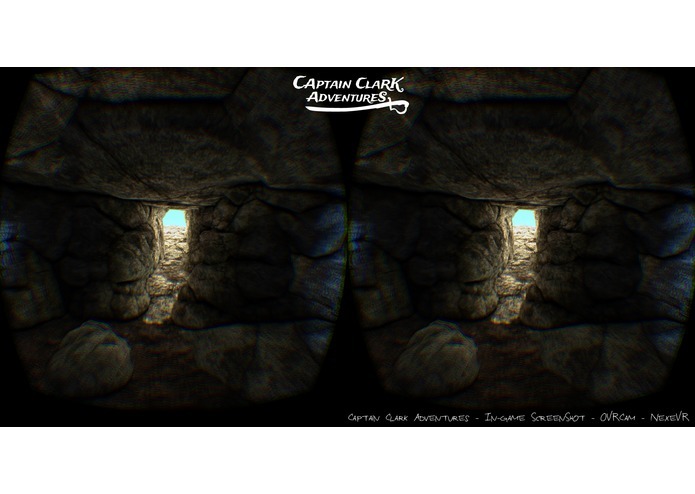 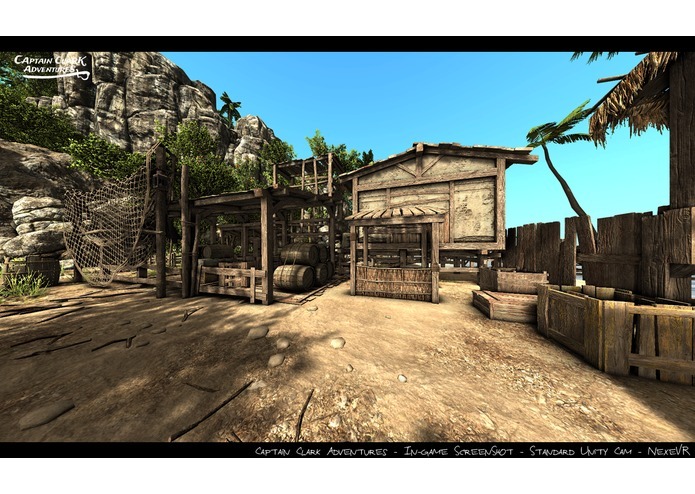 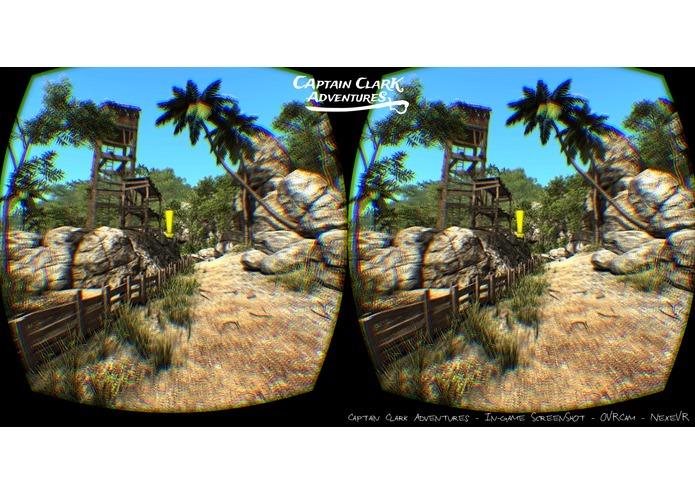 Captain Clark Adventures provides full stereoscopic environment and runs at 60FPS with a fixed CPU level set to 1 and a fixed GPU level set to 0. 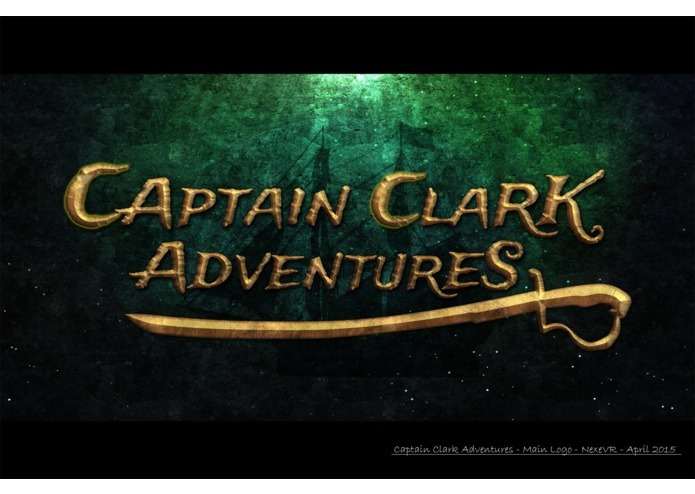 The presentation video is divided into two parts. 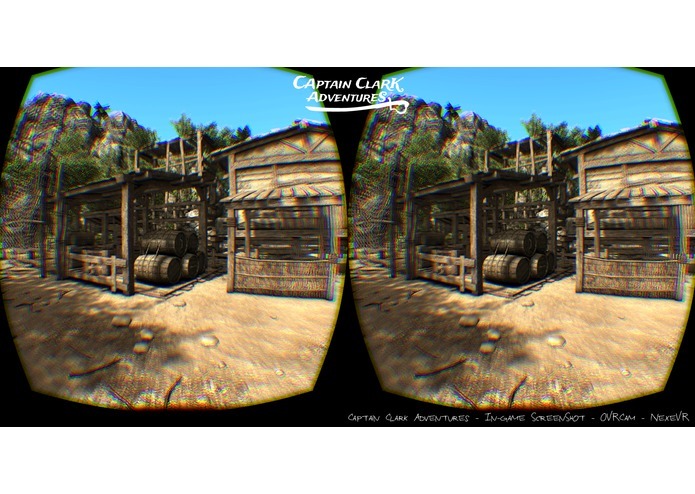 The first minute of video is the trailer, and the rest is gameplay captured within the GearVR. 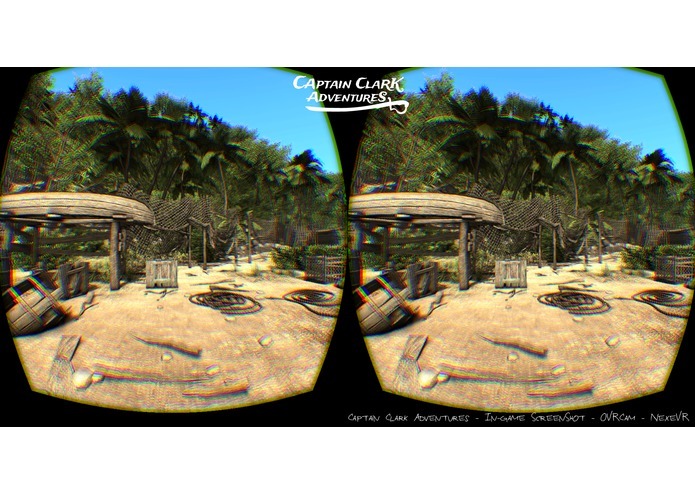 Come explore the pirates’ island and dive into an epic, enthralling adventure for the Gear VR!